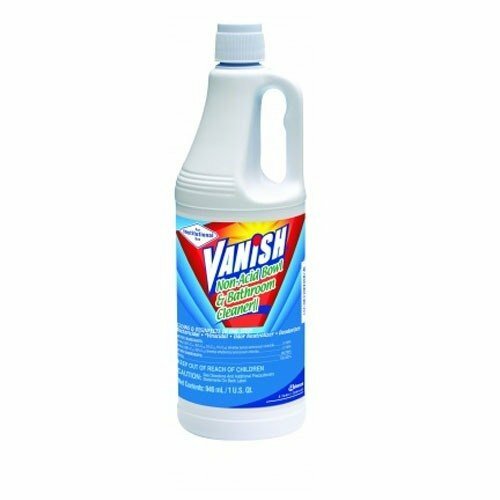 Quickly tackle dirty toilets, urinals, and other restroom areas with SC Johnson 90158 Vanish 32 oz. non-acid bowl & bathroom cleaner II, designed to clean and disinfect surfaces in one easy step. When used on hard, non-porous surfaces, this thickened quaternary detergent liquid effectively disinfects against Staphylococcus aureus, Pseudomonas aeruginosa, and Salmonella enterica. Plus, it inhibits mildew and even kills the fungus that causes athlete's foot! This product is suitable for use on fiberglass, glass, porcelain, and tile surfaces. 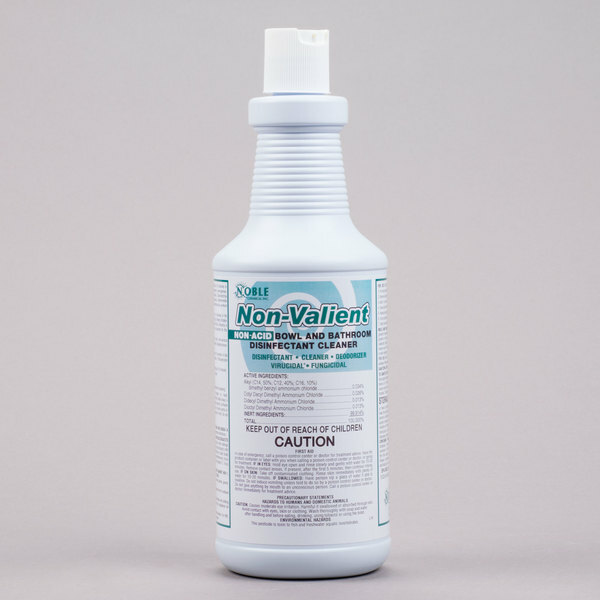 Check out our replacement for this product - Noble Chemical non-valient toilet bowl and restroom cleaner. With an easy-to-use, dispensing bottle, this cleaner is both effective and economical!